CLEAN TITLE CERTIFIED! This vehicle is at 111 W 800 N State Orem, UT 84057. Reviews: * Compared to competitors from BMW, INFINITI and Lexus, the Acura TL is a bargain; offering a lot of technology, performance and luxury for less than the rest. Source: KBB.com * Abundant user-friendly high-tech features; spacious cabin; smart all-wheel-drive system; superb optional sound system; solid construction. 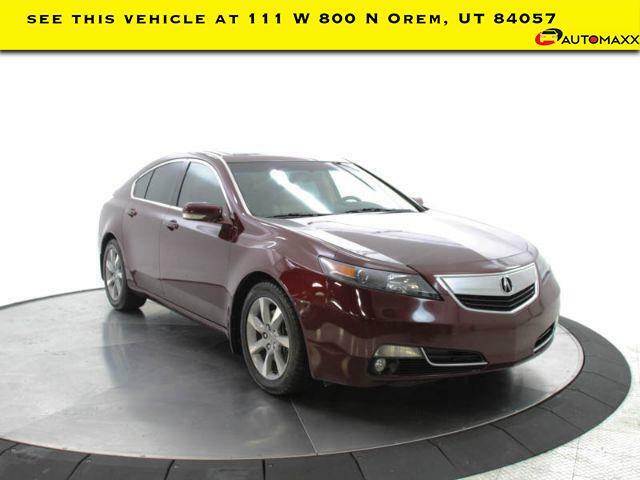 Source: Edmunds 2012 Acura TL 3.5 Awards: * 2012 IIHS Top Safety Pick (built after Sept. 2011) *Insurance Institute for Highway Safety. --- All vehicles come with a 12 month/12,000 mile Powertrain WARRANTY for your PEACE of MIND! Or call 801-679-6688!! Visit SUV's Only By Automaxx online at utahautomaxx.com to see more pictures of this vehicle or call us at 801-224-5333 today to schedule your test drive.